How do you take your game to the next level? A perfect fit. Here at The Breakers, our innovative equipment, professional team and idyllic setting combine to offer a club fitting experience like no other. Whatever your experience level, handicap and goals, upgrading your equipment will instantly improve your performance on the green. One of only four Titleist Prominent Fitters across the United States, John Webster and his knowledgeable staff will provide you with a tailored, one-on-one club fitting experience. Our team holds current fitting certifications from Titleist, Ping, KBS, True Temper, Mizuno and US Kids, among others. Here, art and science collide for the ultimate fitting. 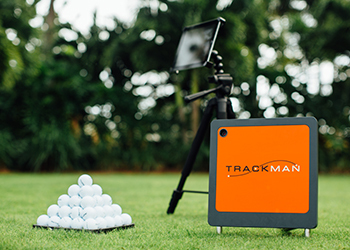 With the latest technology in launch monitors, The Breakers can fit you indoors at our facility, as well as outdoors at both of our stunning courses. Test woods and irons at the driving range, then focus on wedges and putters in our short game area. With both certified experts and software tracing your movements, you’re sure to leave with a flawlessly fitted bag of clubs. Ready to tailor your golf game? 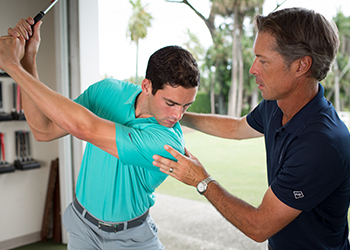 To schedule a golf fitting session at the Ocean Course or Rees Jones® Course, simply call [NAVIS: (877) 724-4047]. 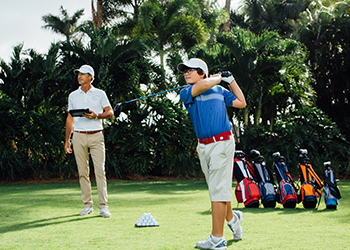 Two championship courses, a team of experts, one-on-one instruction, clinics and camps—discover everything The John Webster Golf Academy has to offer.